The Harlem Globetrotters are coming to Kansas City as part of their World Tour! The winning-est team in basketball – the Harlem Globetrotters – are back for another epic tour! You and your family are sure to enjoy all the Globetrotters' fun , including incredible ball handling, funny jokes, and sheer basketball artistry. You're sure to see smiles all around and make some great family memories! 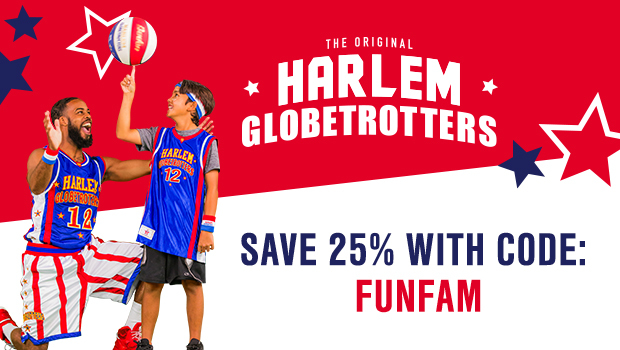 SAVE 25% on ALL Harlem Globetrotters Games with promo code FUNFAM at http://harlemglobetrotters.com/tickets. Get a sneak peek below of Harlem Globetrotters in action!